"In the last 10 years, about 170 newspapers have closed in the USA. And it’s out of 400 newspapers. So it’s a pretty significant problem and challenge for industry. The flipside of it is that there also has never been a better time to be in the news business, by that I mean there have never been more readers of news period than there are now. It just so happens that a large number of them consume news online, rather in true printer publications." "I would agree that there is a clash of civilizations in the world, but it is not a clash between Muslims and the west and between Chinese and the west or between Hindus and Muslims. Rather the real clash is between those who are committed to a view of human society that honors individual freedom and those who are committed to view of society that focuses on communal obligation and conformity to a communal ideal." "The basic thesis of the book is that women are emerging as leaders in the world of religion, just as they are in many other professions and walks of life across the board and it’s a trend that I think needs to be noted." "As a Muslim living now in America I am often challenged how very rarely we hear good news about the great work of many many Muslim leaders not just in America but around the world to promote dialogue to promote tolerance and build this bridges." "Just as smoking triggers lung cancer, foreign occupation triggers both secular and religious attackers." "What’s happening today in the US and in Turkey is the fact that both are democracies which is usually a good thing, but when it comes to democracies in which there are nationalist and populist forces, there gonna be problems. 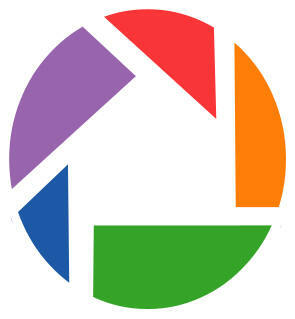 I think what we are seeing today is almost mere images of each other." "As I look across the world the challenges that we face internationally actually are not that much different than the ones we face domestically in terms of people understanding each other, working across different lines and thinking about ways to do that involve non-violence, education and openness to dialogue." "Jihad literally means struggle, so it is an intellectual struggle, spiritual struggle, service struggle, struggle to purify yourself struggle to serve others, but the last struggle, which somehow moved to the very first step in modern times, is a struggle to defend yourself if you are under attack and only state officials can determine when it’s time to fight to defend its borders." "... the election was very much a reaction against not only certain policies of the Obama administration but more so a reaction against the general condition of the country that many people perceive is on the wrong track right now and typically what happens in the US elections of course is that the party in power whether fair or not gets the blame." "I think [one thing] that stood out for me... is that you guys are crazy! ...I just thought that, right at the middle I mean not nowhere, but geographically nowhere in the sense there is no geographic preference to where you build the school. I just thought it was crazy... Crazy like Jesus Christ; crazy like Abraham; crazy like Mahatma Gandhi; crazy like Rumi; crazy like Martin Luther King; crazy like Nelson Mandela... to think outside of the box." Scholars from around the world gathered for a conference in Chicago to tolk about the Gulen movement and Fethullah Gulen. Organizers say the meeting was necessary because fear and hatred continue to influence public opinion and there is a need to focus on people and groups that promote peace and understanding. 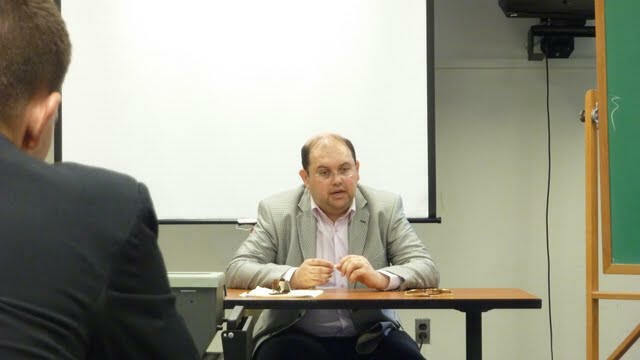 Rumi Forum President, Emre Celik was a guest lecturer recently at American University where he presented a talk on Fethullah Gulen and the movement inspired around his ideas. The course was on Contemporary Islam. The Rumi Forum, a think tank established by Turks living in Washington, D.C., to foster intercultural dialogue, has presented its traditional Peace and Dialogue Awards. 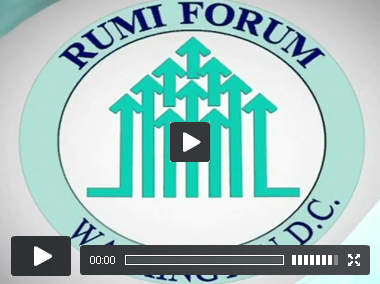 The 2010 Rumi Peace and Dialogue Awards ceremony was held on Tuesday at the National Press Club's Ballroom in Washington, D.C. The think thank gave awards to extraordinary individuals and organizations who have contributed much of their time, energy, leadership and dedication to the causes of dialogue, understanding, peace and community service. The American Turkish Friendship Association and the Rumi Forum Thursday night held their second annual Friendship Dinner at the Embassy Suites in Newark. The theme of the dinner was The Art of Living Together and a number of speakers echoed that theme. Reciving awards at the event were State Rep. Michael Ramone, R-Newark and outgoing New Castle County Sheriff Michael Walsh. The media award went to Ralph Bush, general manager of the Upper Shore Division for ACM Chesapeake, publisher of the Newark Post. Are we to wait for our Fethullah Gulen? "Gülen not only my hero, also a model for other religions"
“He is not only my hero for what he has done for the Muslim societies but also [offers] a model for all other religions,” said Dirk Ficca, executive director of the Chicago-based Council for a Parliament of the World’s Religions, an international NGO aiming to cultivate better understanding between the world’s religious and spiritual communities by highlighting the similarities while also acknowledging the differences between them." Rumi Forum and the Gulen Institute at the University of Houston have organized an International Essay Contest for all high school students in grades 9 through 12 enrolled in public or private schools. The use of military means as a solution to today’s international and national political issues: Diplomacy or war, democracy or military coup? Please feel free to reproduce these materials as needed. One special note is that our deadline for essay submission is Monday, January 31, 2011. 1st place : 4,000 USD + Trip to D.C.
2nd place : 2,500 USD + Trip to D.C.
3rd place : 1,000 USD + Trip to D.C.
4th - 20th place : 300 USD + Trip to D.C.
21st - 30th place : Trip to D.C. This event is a unique opportunity for the winners to meet U.S. Congress members; visit think tank institutions and tourist attractions during a 4-day trip to Washington, D.C. 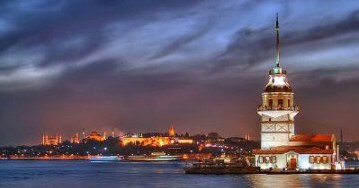 The Gulen Institute will sponsor winning students’ and their supervisors’ travel, accommodations and meal expenses. In addition, all winners will receive a Certificate of Recognition. This edited collection deals with the challenges and opportunities faced by Muslims and the wider society in Europe following the Madrid train bombings of 2003 and the London Transport attacks of 2007. The contributors explore the challenges to the concept and practice of civility in public life within a European context, and demonstrates the contributions that can be made in this regard by the thought and practice of the global movement associated with the Turkish Muslim scholar Fethullah Gülen. The importance and distinctiveness of teaching of Gülen and the practice of the movement is that it is rooted in a confident Turkish Islamic heritage while being fully engaged with modernity. We are now accepting applications for our summer, fall and winder 2010 internship program. Eligibility: All undergraduate and master’s-level students and J.D. and Ph.D. candidates as well as recent graduates are eligible to apply. "A Conversation on the Future of Leadership with John Hope Bryant"